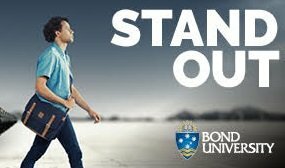 Bond University offers a range of scholarships for international students across the globe. Here is a summary for your reference. Scholarship 50% tuition for any single or approved combined undergraduate degree (excluding the bond Medical Program.) Available international applicants currently completing or completed*Year 12 at a high school in Australia *Year 12 completion must not be more than 12months prior to program commencement and the applicant must not have commenced any post-secondary studies. International Undergraduate Excellence Scholarship 50% tuition for any single or approved combined undergraduate degree (excluding the Bond Medical Program). Must currently reside outside of Australia and have outstanding academic ability. All semesters open now. – Japan 50% tuition remission for any single undergraduate Bachelor’s degree or postgraduate Master’s degree program (excluding the Bond Medical Program). For students undertaking a package of programs (e.g. English for Academic Purposes followed by a Master’s degree), the scholarship will apply to the degree portion of the package only. Students must be citizens of Japan and currently residing in Japan (with the exception of those studying English at BUC as part of a packaged offer). Applicants should be high academic achievers a well as hold leadership and community achievements. All semesters open now. English Pathway Studies Scholarship $2500 tuition remissions towards the cost of the English for Academic Purposes (EAP) program. Students must have outstanding academic ability and have an offer for their chosen UG or PG program. All semesters open now. Europe Excellence Scholarship 25% tuition remission for any single undergraduate Bachelor’s degree or postgraduate Master’s degree program (excluding the Bond Medical Program). Students must be citizens of Europe and currently residing outside of Australia (with the exception of those studying English at BUC as part of a packaged offer). Applicants should be high academic achievers. All semesters open now. Excellence Scholarship – China, Taiwan, Hong Kong 25% tuition remission for any single undergraduate Bachelor’s degree or postgraduate Master’s degree program (excluding the Bond Medical Program). Students must be citizens of China, Taiwan or Hong Kong and currently residing outside of Australia (with the exception of those studying English at BUC as part of a packaged offer). Applicants should be high academic achievers. All semesters open now. 30th Anniversary Alumni Postgraduate Scholarship 30% tuition remission for any postgraduate degree (excludes the Bond Medical Program, Doctor of Physiotherapy, Master of Psychology). Only for students commencing in 192, 193 and 201. Current students can also apply. Available to students who have previously graduated from an eligible degree at Bond and have achieved a minimum GPA of 2.0/4.0 (or equivalent 5.0/7.0) or 65%. All semesters open now. Faculty of Health Sciences and Medicine Postgraduate Scholarship 25%- 50% tuition remission for either a Master of Nutrition and Dietetic Practice, Master of Occupational Therapy or Master of Healthcare Innovations. Only for students commencing in 192 and 193. Available to applicants with a minimum overall GPA of at least 3.0 /4.0 (or equivalent 6.0 / 7.0) or 75%. Both semesters open now. Latin America Postgraduate Scholarship $10,000 tuition remission for any undergraduate Bachelor’s degree or postgraduate Master’s degree program (excluding the Bond Medical Program). Students must be citizens of a Latin American. Applicants should be high academic achievers. All semesters open now. The Abedian Foundation Master of Architecture Award 100% tuition remission for the 160cp Master of Architecture program. Be currently achieving, or have achieved, a minimum cumulative percentage average of 65% in the Bachelor of Architectural Studies. Also considers financial hardship. Currently closed. The Abedian Foundation Master of Architecture Scholarship 100% tuition remission for the 160cp Master of Architecture program. Be currently achieving, or have achieved, a minimum cumulative percentage average of 75% in the Bachelor of Architectural Studies. Currently closed. For detailed information and apply the scholarships, please contact Kate. Kate migrated to Australia in 2007, going on to become a qualified education counsellor in 2009. 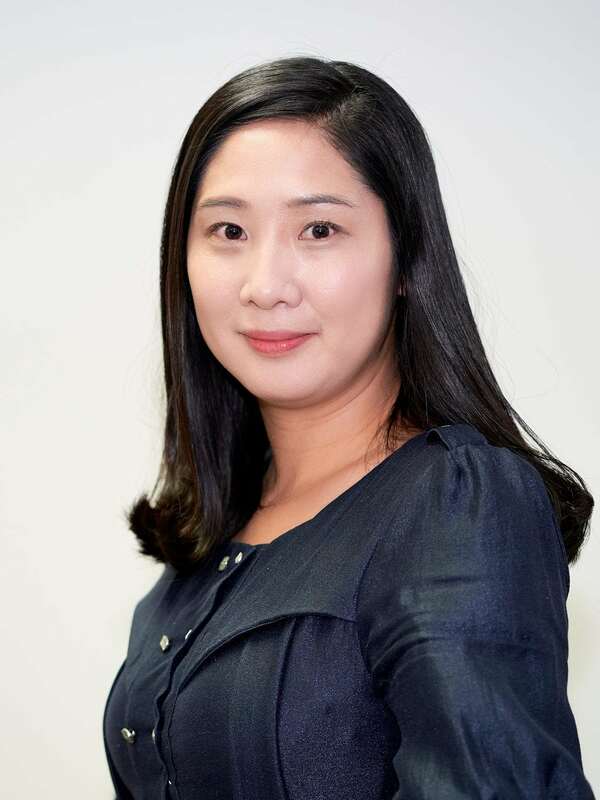 Throughout her career, she has helped hundreds of international students achieve their academic dreams in universities across Australia. Kate helps her clients successfully complete their school enrollments and student visa applications. For clients outside Australia, she is always available for regular contact through Skype or Facebook. All staff here are so professional and friendly, and thanks Jessy for being very helpful of applying the visa. She knows everything you need for the visa and does things very carefully, and the most important is very responsible. :)) highly recommend!! I highly recommended AEV, my experience with Kate has been fantastic. She takes time to understand your needs and advises you on how best to go about you application, keeping you well informed every step of the way. I couldn’t be happier with her service and encourage anyone looking for an agent to try AEV! Thanks a million to Kate and her team!! High quality service! I got the renewal visa very soon ! Thanks to Jessy and Diana!! Professional and excellent services rended by Paul and his team. Highly recommend!! This agent is realiable, it’s a good choice for people who have questions about school. And also,Jessy is the super good staff, patient and helpful. Service First Class.Honest, Professional and Efficient.All promises were kept. Fees reasonable.Kate Lee was very helpful and friendlyI do recommend Australian Education and Visa Centre. I can definitely recommend Paul and AEV to take care of your visa application! Honest advice and very helpful. Thank you Paul. Great service, fast response, keeping the promise, they know details that are important for your application, friendly attitude. Reccomend to everyone! Good service and customer support. Mr Paul worked very hard to do all the paper work and I got my visa granted. Needless to say, the best place to go. It has been a great pleasure working with Paul from AEV, he has walked us through every step of the way. He has saved us time and money with our immigration application, communication has been 5 Star. AEV office is well located with ample parking near by. Very professional, and friendly. We have recommended other people we know to use AEV Services. Thank you Paul Kwon. Very efficient and hard working team. I really like the way they have helped me in getting student visas earlier and now work visa. I appreciate them for their valuable guidance and knowledge. Paul really helped me in answering every query of mine ( even outside working hours). Highly recommended. Great and efficient service. Jessy was very responsive, helpful and supportive. Absolutely recommended AEV. Sarah helped me apply my NZ citizen family visa from the beginning till my visa has granted. During the waiting period I was facing few personal family issues back home. Sarah helped me out as much as she could with her perfessional suggestions and kept me updated at all time. I’m so thankful I have her as my agent. Excellent service and I have my few visa done with this migration agent. I’m grateful , It was done successfully and I would like to thank Sarah for the professionalism and promptness service to my application. I will recommend to everyone! Thank you so much ! With expert counsellors at the ready, our team can answer any questions about immigration and visas that you have.